Our Alliance location is at 9100 N Freeway, Suite 104, Fort Wort h, TX76177. Our Alliance location is one of our newer locations in the Dallas metroplex. Our Alliance clients live in Keller, Justin, Haslet, Alliance and the North Fort Worth area. Our cent er is located in the Sam Moon Shopping Center close to Ashley Furniture and next door to Pizza Inn. The Manager at Alliance started in our Arlington location when we first opened. 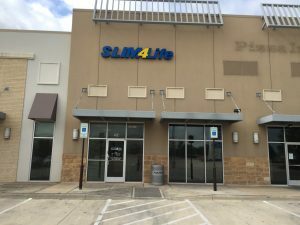 Our friendly staff want their North Fort Worth clients to change their life dramatically by losing weight at an accelerated pace and being Slim4Life. Our goal is for all clients to live a longer healthier life . Losing weight is one of the best ways to improve your health. Call, walk-in or book an appointment online. Make an appointment at our Fort Worth – North Freeway weight loss center today!